Blue Sky BuildersSkywriters Garage BlogDoors10 Garage Facts – Did You Know? 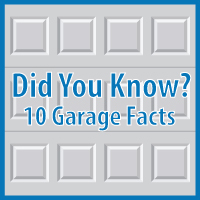 10 Garage Facts – Did You Know? …Can increase the value of your home. An online survey says that 71% of homeowners who recently replaced their garage door believe it increased the value of their home. When real estate agents were shown “before” and “after” snaps of houses that upgraded with new, stylish garage doors, they increased the list price of the home anywhere from 1 to 4 percent. That means a $2,000+ investment in a garage door could increase the sale value of your home by as much as $7,000 if you’re selling a $175,000 home. See some dramatic “before & after” photos at GarageWowNow.com, and you’ll see the difference a new garage door can make. …Can be a chic fashion statement. A popular accessory sold with new garage door openers is a battery back-up system that allows you to use your opener for several times, even after the loss of power to your home. It’s a wonderful feature that prevents you from being trapped outside in a storm. Housing developments have their advantages, but individuality usually isn’t one of them. Choose a fashionable contemporary or carriage house garage door, and your house instantly stands out from the crowd in your neighborhood. Check ’em out for yourself by viewing the “Garage Door Styles” page at GarageWowNow.com. Wow! Don’t try to install the door yourself. It’s a complex and dangerous task. Be sure to have a professional install any garage door. They can do the job in just a few hours and haul the old door away. The cost of installation is well worth it. If you are in the Chicagoland area, contact us today. 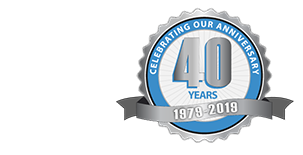 Visit our garage gallery to see examples of garages or contact us today for your new garage!